Graduated from the Warsaw University of Technology. He has been working at the NASK research institute since 1992. In 2000-2012 he served as technical director at NASK. Since 2004 he has been representing Poland in the Management Board of ENISA. From 2013 he has also been with ENISA’s Executive Board. In 2016 he was appointed Vice President of the ENISA Management Board. In 1996 he set up the first Polish computer emergency response team CERT NASK (now CERT POLSKA). In 1997-1999 he represented NASK in FIRST (International Response Team). He started the SECURE conference – the first in Poland to discuss IT security. 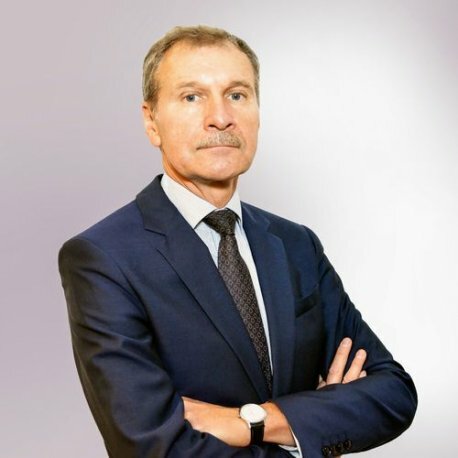 As technical director at NASK, he initiated and supervised the development of Internet networks and innovative security projects such as ARAKIS (developed jointly with the administration; won “Teraz Polska” in 2010). He is the author of a number of publications and studies in the field of IT networks with particular emphasis on security issues. He collaborated in the drafting of ENISA’s strategy and the action plan in network and information security, and assisted the development of the NASK’s NC Cyber- National Cyber Security System. He participates in developing of a number of projects as an expert in network and information security. He was nominated for InfoStar Awards in 2009, and was awarded with it 2011 (in IT Solutions).